Nollywood actor, Jim Iyke, is bringing a fresh reality TV show to our screens. The show titled ‘The Adventurer” is set to bring a new perspective to both contestants and viewers. ‘The Adventurer’ will attempt to address two major issues that affect the Nigerian youth – the question of unity and oneness at home, and the issues of xenophobia in South Africa. Whilst the show will take a non-biased stance on the former matter, it will attempt to make sure that everyone’s opinions are heard and the best solutions are proffered. 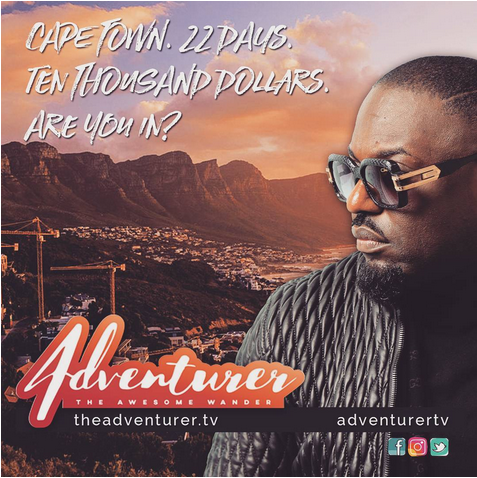 The actor, who made his reality TV debut in 2013 with Jim Iyke Unscripted, hopes that by the end of “The Adventurer,” the competitors will emerge as better persons – a narrative he hopes would stretch to their immediate family, space, and consequently, the nation as a whole. The show will take them on a journey to places such as Cape Town, Dubai, Marrakech, Sydney, and Los Angeles amongst many others. The winner of ‘The Adventurer’ goes home with a cash prize of $10,000 while every other participant is guaranteed 300 thousand naira each for getting to the final stage of the show.